USAID and the Government of Sweden have awarded Cardno Emerging Markets USA a five-year US$18 million contract for implementation of the Fostering Agricultural Markets Activity II (FARMA II) project in Bosnia & Herzegovina (BiH). The purpose of the FARMA II Project is to create agricultural and agribusiness economic opportunities for BiH farmers and entrepreneurs. FARMA II will achieve this by assisting agricultural producer organizations to adopt European Union (EU) and international agricultural and food standards and new production techniques, produce new high value products and expand their access to foreign and domestic markets. In dairy sector, there was a significant effort to support producers and processors in receiving better results in milk production and processing industry. 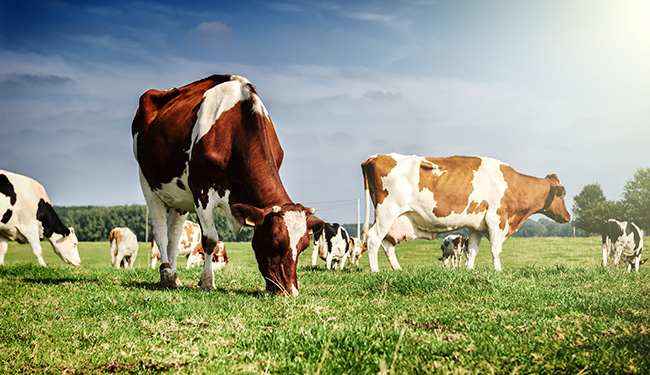 The objective of good dairy farming practice is the on-farm production of safe, quality milk from healthy animals under generally acceptable conditions. To achieve this end, dairy producers need to apply Good Agricultural Practices (GAP) in the following areas: Animal health, milking hygiene, animal nutrition, animal welfare, preserving the environment and socio-economic management of the farm resources. The purpose of this consultant assignment is to provide training and technical assistance to support dairy producers in producing quality feed and to improve feed balances with decreasing the losses of quality proteins needed for milk production and health of animals using latest food safety standards according to the EU requirements.Special attention will be given to production of the milk for the cheese production since number of the cheese producers will be included within this activity. Usage of ICT will also be considered, as many large dairy farmers have software solutions for mixing feedfor their animals. In particular, this task will assist both farmers and extension experts as it is expected that through this training and technical activitiesat least 100farmers and advisors from the Ministry of agriculture, municipal offices, different associations and cooperatives and milk processors will be supported. -	Deliver trainings in use of the maximum potential of breeding animals, which affects the competitiveness of dairy and cheese producers in the domestic and international markets. -	Optimum time to harvest corn and proper silage cutting and storage techniques. -	How to use alternative ingredients and lower costs, while still meeting minimum nutrient levels. -	Correctly identifying input and output qualityon the basics of energy, available amino acids, minerals, vitamins, etc. •	Provide samples for feed formulations suitable for different regions/breeds/ingredients of some less expensive feed formulation for milk producers using current and historical prices of existing and potential feed ingredients. To accomplish this task, the total number of planned working days is 8onsiteand 2 offsite and it is expected that the planned tasks will be implemented between February and April 2019. The consultant is expected to undertake up to two trips to BiH during this period. Some on-line support may also be required during the period. This is short term technical assistance (STTA) position for BiH or Third Country Nationals.